12 Newton Street, Mount Maunganui. 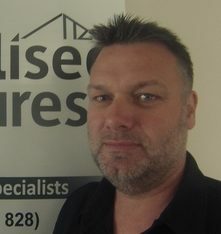 Andrew has been working in the construction industry since 1987. Firstly in his home town of Dunedin where he completed his building apprenticeship and other stints included working in Queenstown and Christchurch. Looking for a system that Andrew could offer his clients that covered so many options he felt the Specialised Structure’s brand ticked all the boxes. From commercial buildings to school halls and habitable barns with living quarters, Andrew can meet the demands of commercial, community, and residential building projects. In his spare time you will find Andrew coaching one of his four boy’s cricket teams, or providing a free taxi service to and from these games.